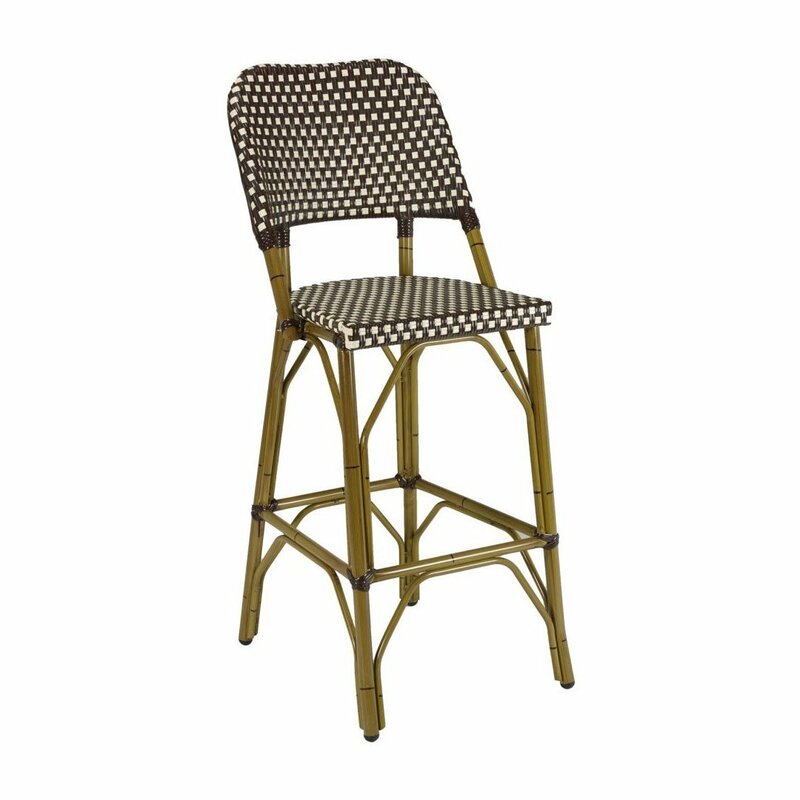 Fiji Outdoor Restaurant Armless Bar Height Chair with Aluminum Frame and PE Weave Seat - 13 lbs. 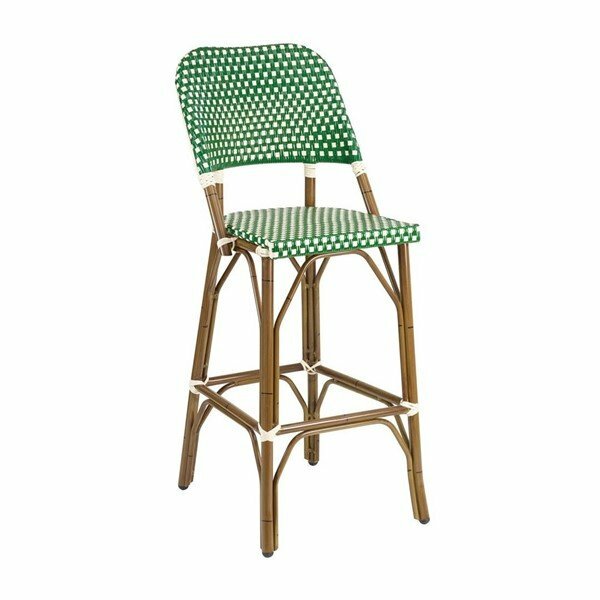 Our Fiji outdoor restaurant armless bar height chair features an aluminum frame that has been beautifully handpainted to look like bamboo. 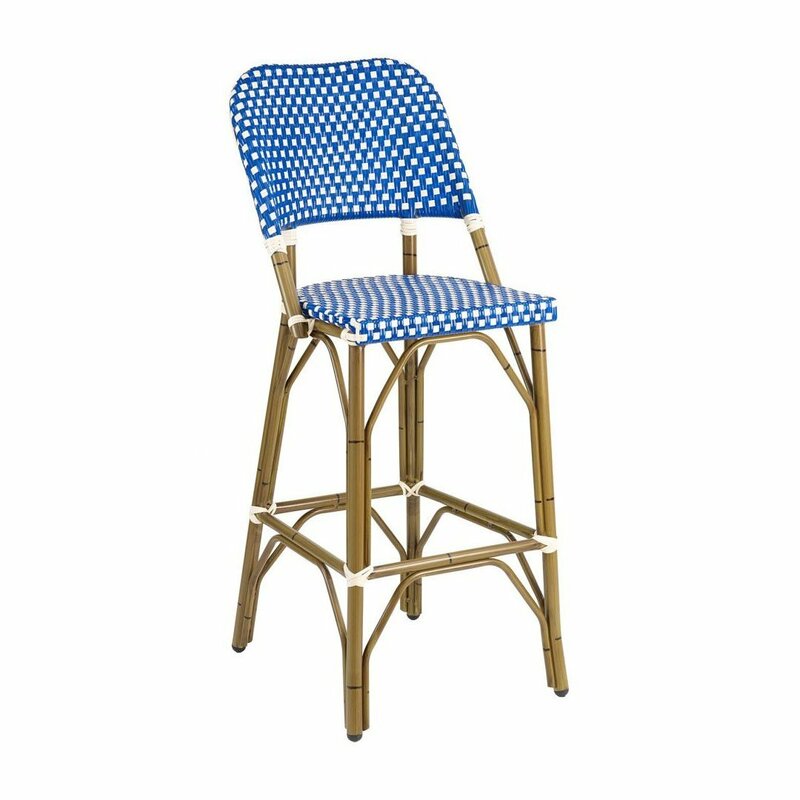 This outdoor bar chair is a stylish addition to tropical retreats, such as hotels, resorts, and cruise ships. 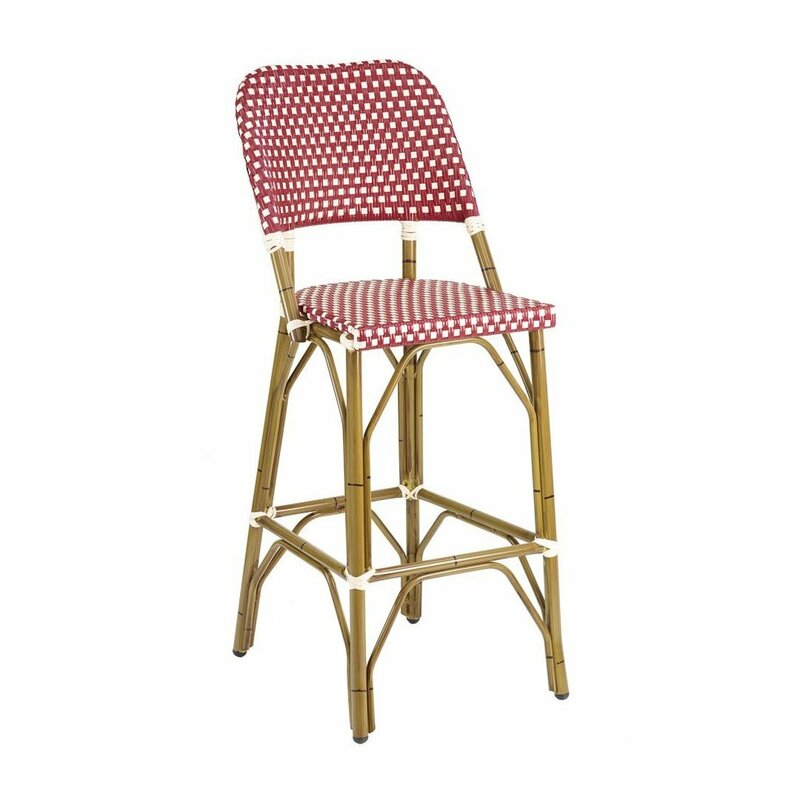 The decorative back and seat are made of PE weave that is easy to maintain. We support our outdoor dining furniture with a 2-year commercial warranty. • Dimension: W 16" x D 16.5" x H 45.5"